TOKYO - Nikon Corporation is pleased to announce the release of the D4S, its latest flagship FX-format digital SLR camera. 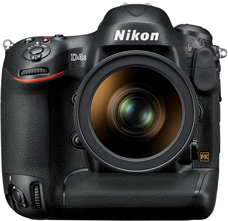 Based on the D4, the D4S responds more completely to the demands of professional photographers with revisions to a number of features and functions, including AF performance, image quality, workflow and operation, and movie recording, adopted after running a variety of simulations of the functions required by professional photographers who sometimes find themselves working under quite severe conditions. *Movies are recorded with an aspect ratio of 16 : 9 regardless of the format selected. Aspect ratio is 3 : 2 with recording at a frame size/rate of 640 x 424/30 fps and 640 x 424/25 fps.